Making the Berlin Boombox. A tour to various production facilities around Berlin. 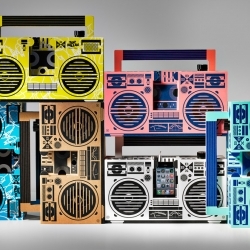 Our local manufacturers put all their knowledge and passion into the creation of this cardboard ghettoblaster.